The University of New Brunswick is hosting Anishinaabe performer Ryan McMahon as he tackles themes like reconciliation, Canada’s 150th birthday party and the intricacies of moose meat pie. “Two Moccasins, Two Worlds” will be held at UNB’s Fredericton campus on Thursday, Feb. 9 at 7 p.m. in room 143 of Marshall d’Avray Hall. With a degree in theatre and as a graduate of the Second City’s conservatory program in Toronto, Mr. McMahon’s comedic storytelling style is fast-paced, loose and irreverent as he explores “the good, the bad and the ugly between Indian Country and the mainstream.” A writer, media maker and community activator, Mr. McMahon is based out of Treaty #1 territory in Winnipeg, M.B. Since 2010, he has recorded three national comedy specials and taped two gala sets at the prestigious Winnipeg Comedy Festival. 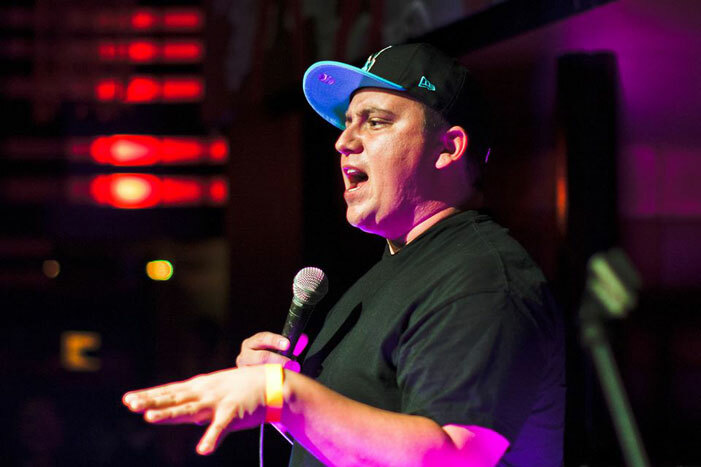 He became the first Aboriginal comedian to record a full mainstream comedy special with CBC television in 2012 and later that year he debuted at the Just for Laughs Festival in Montreal – where he was named to the festival’s New Faces list in 2012. Mr. McMahon recently starred in and hosted the documentary Colonization Road. The critically acclaimed film explores how lingering reminders of colonization affect reconciliation. Colonization Road, which recently aired nationally on CBC Television, opens a discussion of how Canada can move forward. This presentation is part of a speaker series sponsored by UNB’s Truth and Reconciliation Calls to Action Committee. The group works with both campuses to ensure the Truth and Reconciliation Commission of Canada’s calls to action are supported and implemented at UNB. Those who are unable to attend this free, public event are invited to watch the livestream.